Tenerife became the first ever winners of the Basketball Champions League with a 63-59 win over Banvit in the Final. Davin White hit a huge three pointer in the last minute which proved to be the dagger, but it was Marius Grigonis who picked up Final Four MVP honours with 18 points on 6/10 shooting. White supplemented with 14 and 5 assists with the Spanish side able to celebrate on their home court. “We got it!” an elated Tenerife Head Coach Txus Vidorreta laughed to open his press conference. “We had a dream in June; we knew that we had the chance to play the first edition of this Basketball Champions League. I was with my family and friends in San Miguel when I told my wife that we had the chance to win this competition and finally we did it. Season MVP Jordan Theodore’s 17 points and 9 rebounds would not be enough for the Turks, who couldn’t put the icing on the cake of an incredible season, though made it anything but easy for their hosts. Tenerife gave a glimpse of things to come as they showed their long range shooting prowess, going 4/5 from deep in the opening quarter. A buzzer beating two from Chappell gave respite for Banvit, who trailed 16-12 after the first period. A three ball from a pumped up Bassass sparked the crowd to open the scoring in the second quarter as Tenerife showed no signs of cooling off from beyond the arc. Theodore started heating up with a quick five points to pull Banvit back within two, 23-21, forcing Tenerife into a timeout with 6 minutes left in the half. Theodore then took the role of distributor, throwing an alley oop to Korkmaz to tie it up at 2, before San Miguel hit his third three of the half to give Tenerife the advantage again. Tenerife kept on pouring on the pressure – they knocked down eight triples for 62% shooting in the first half – as Theodore did his best to hold them off, scoring all of his 9 points in the half in the period. A Kulig fadeaway at the buzzer saw Banvit reduce the deficit to three, 34-31 at halftime. A potential momentum-shifting technical foul called on San Miguel for flopping allowed Banvit to tie it up at 34 but once again, Tenerife responded by tightening the screw. Having appeared to cool off, it clearly wasn’t the case, as back to back threes from Doornekamp and Grigonis sent the crowd into a frenzy and opened up a 40-34 lead with 5:19 to play. A Niang alley-oop followed to make it an 8-0 run as all momentum seemed to be going Tenerife’s way. Theodore woke up again toward the end of the third scoring 6 points in the final 3 minutes to pull Banvit back, the final hoop on a spectacular fake and finish over two defenders. But Davin White was determined to have the last laugh, going coast to coast on a drive and hitting a high floater off the glass at the buzzer to put Tenerife back up 5, 51-46. Back to back threes from Korkmaz and Orelik brought it back for Banvit to 53-51 early in the final period as the game was set up for a nail-biting finish. A Kulig finish with just over two minutes to play saw Banvit within one, but it would be as close as they would get. White knocked down two free throws, before coming through with the dagger three to increase the deficit to six with a little over a minute to play and put the game out of reach. 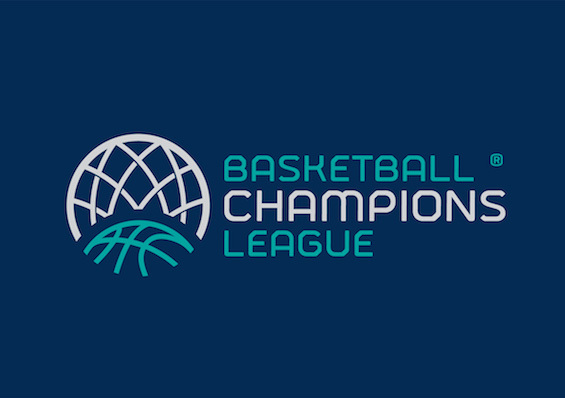 It completed the inaugural Champions League campaign with the FIBA-backed competition still some way short of usurping the lustre of the Euroleague or the second-tier Eurocup, despite heavy investment into the event.